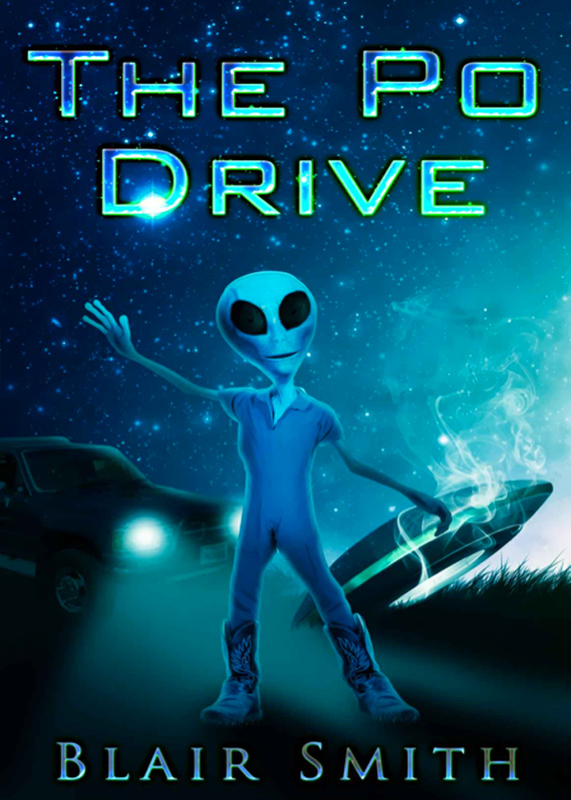 On the prairies of Wyoming, Blair and Boni witness a spectacular crash of a small UFO. Upon investigation, they find one of the Aliens still alive, but trembling and fearful of the two barbaric humans. Blair and Boni win his confidence and hide him so that he can build a communicator to contact his people. In return for their help, the Alien, named Po, teaches them how to build an anti-gravity drive, not a star drive, but something to putt around the earth with at three thousand miles an hour. How fast is that….5 time that of any fighter jet on the planet! Of course the CIA and KGB, and every other powerhouse nation want to get their hands on the technology. Building the drive was just a fun family project that turned into a life and death struggle. You can purchase the book online from Amazon at http://www.amazon.com/Po-Drive-Blair-Smith-ebook/dp/B00DWHJBF8.